CORONA, CA (August 20, 2018): Round 12: Once again the MAVTV cameras will air both the “opening” 450cc and 250cc class motos of the final race of the Lucas Oil Pro Motocross championship season starting at 1:00pm ET on Saturday, August 25, with re-air at 4:00pm ET. In what has to be one of the most fiercely-contested AMA seasons ever; the whole 2018 Lucas Oil Pro Motocross cross-country campaign is pared down to two gut wrenching final motos at the perfectly-named Ironman Raceway in Crawfordsville, Indiana. Ironman Raceway offers some of the tallest and steepest combinations of jumps in the series with a massive uphill jump that’s nicknamed “Godzilla.” As tough a race course as they come, any win at Ironman is a true victory … this week a national championship hangs in the balance. After 22 rounds of racing, the 450 championship is a two man, two nation, two motorcycle manufacturer “main event.” In one corner: Eli Tomac, Cortez, Colorado, riding a Kawasaki KX450X, named as one of the AMA’s 30 Greatest Motocross riders, and in the other corner: Marvin Musquin, LaReole, France, a two-time World Motocross Champion riding a TKM SX-F FE. Throw in the fact that Tomac’s bike is from Japan and Musquin’s was built in Austria and you have a world challenge in heartland USA. A scant twenty points (493-473) separate the above two combatants and there are fully 50 to be earned at Ironman. In the 250 class, the 2018 championship points chase is not close (450-360), with Hamilton, Ohio’s Aaron Plessinger with an insurmountable lead over Millville, Minnesota’s Alex Martin (KTM 250 SX-F FE). 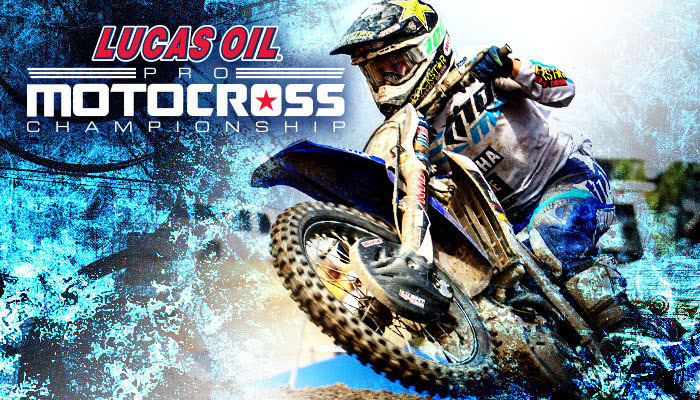 The entire 12 Round Lucas Oil Pro Motocross Series is televised on MAVTV, NBC and NBC Sports Network with 36 hours of live coverage and more than 70 hours of Pro Motocross content via broadcast and digital platforms including Lucas Oil Racing TV (LORTV) – the first streaming TV motorsports network. NOTE: MISSED MOTOS? GOOD NEWS: fans will be able to relive the entire action-packed 2018 Lucas Oil Pro Motocross Series every Saturdayafternoon on MAVTV starting September 1.